Our free guide is now yours to enjoy! Five reasons why online accounts software is a great choice for business. Our guide explains why you should be manaing your finances ‘in the cloud’ and the benefits it can bring to you and your business. 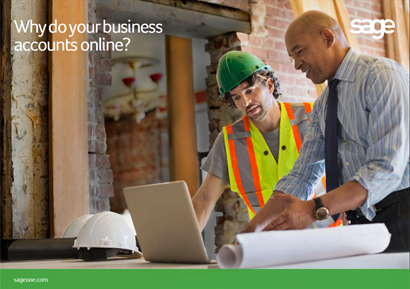 Visit http://uk.sageone.com/accounting/ to learn more about Sage One Accounting, our low-cost, easy-to-use accounts software for start-ups and small businesses.